In a previous post titled Sister Act, I wrote about the winter camp hosts here at Quail Creek, Helen and Chuck, arriving early, and that the Park Complex Manager, Laura, gave them tickets to see Sister Act along with us so we could get to know each other better outside of work. In the course of that evening, Helen asked us if we play cards. We told her we play some cards, but not anything like bridge…… Helen said she and Chuck know a game that is really fun, and said we should get together again sometime soon and they would teach us. Utah is mostly a Mormon state, and since we arrived here in June, we haven’t met anyone that up and admits that they enjoy a nice happy hour… Too bad for them, because we have been known to host FABULOUS happy hours…. And, we are who we are… and like I said many times, we do enjoy our happy hours and I’m not about to change that anytime soon… So what to do…? The next time I saw Helen, I mentioned how much Bill and I enjoyed going to see Sister Act with her and Chuck. Helen said they enjoyed spending that time with us too, and said she didn’t know about me, but she never saw any nuns like the ones in Sister Act. She told me that her father studied to be a priest, and was about to take his final vows, when WWII broke out and he joined the service instead. Well, that broke the ice on that subject, and I immediately extended the invite to dinner, and asked if after dinner perhaps they could teach Bill and me the Hand and Foot card game. 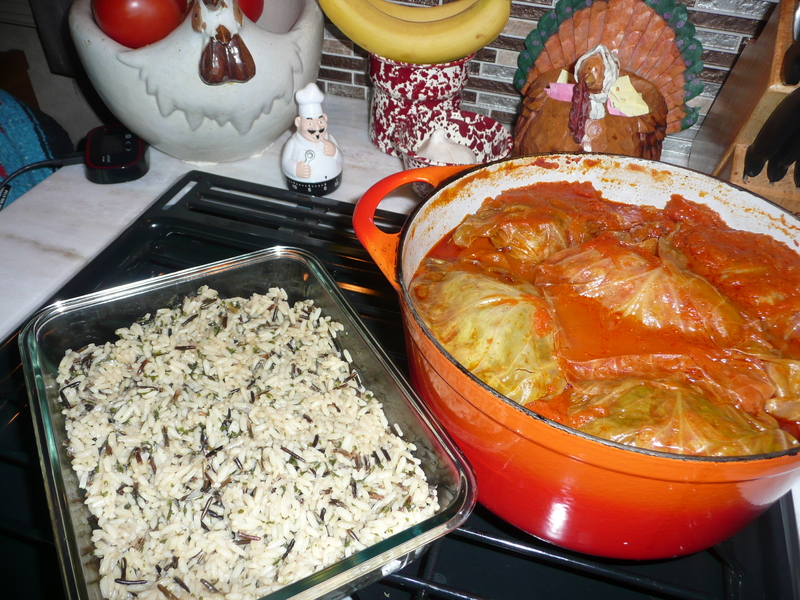 I made cabbage rolls with wild & long grain rice. 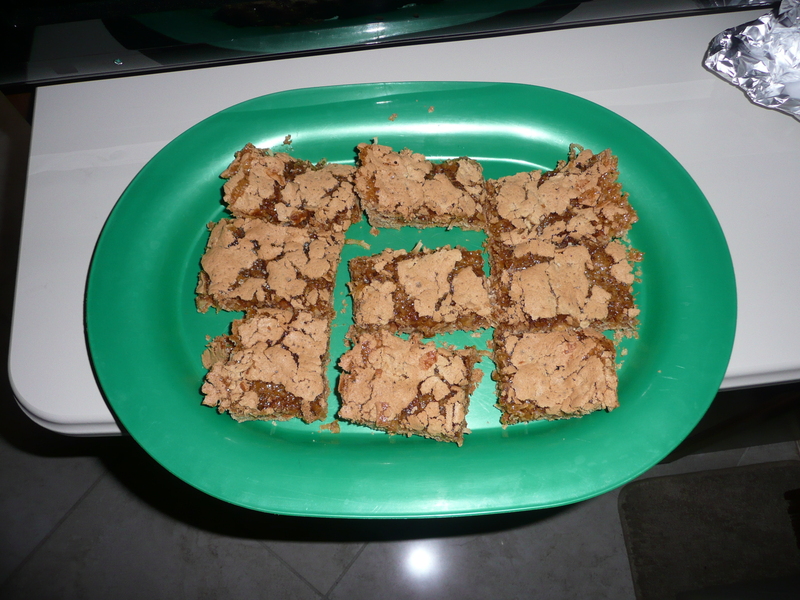 Helen made what she called “dream bars.” She said she learned to make this from a very old recipe that her great-grandmother passed down to her. What a fun game. We played it with just the four of us, and used six decks of cards, but Helen and Chuck told us it can be played with six people and asked us if we would like to play the game with our Park Complex Manager, Laura, and her friend FeBe (spelling) Helen and Chuck, and Bill and I sometime…? Of course we said yes, but said we need to practice because it can be a fast paced game… And since we are new to the game, we didn’t want to feel like we would be slowing the other’s down…. The things Bill and I are doing… the people we are meeting, and the renewed connection Bill and I are experiencing now that we have time for us to be just us again… This is what I dreamed our retirement years would be like, and I give thanks to my God, each and EVERY day, for this opportunity that has been given to us. Love. it. and. you. both. We had a fun time at Sister Act and dinner with Helen and Chuck, fun card game. The best part of this life RVing is being with my best friend and wife, we have been able to spend quality time together, laughing so hard at time we ended up crying, and as Virginia has stated in previous posts we danced. This life is not for everyone, but to me, its an ideal life for us love you Girly.